Enoitalia is the largest privately owned winery of Italy in terms of production and one of the top ten in the country. Our project started in 1986 in Italy, and has expanded globally under the management of Giorgio Pizzolo and his three brothers Giuliano, Augusto and Floriano. We produced 98 million bottles in 2018 and we export 75% of our production to 4 continents and over 80 countries. Our top performing countries are USA with our direct importer, Canada and Europe, where we are present both on and off trade. We are constantly growing and currently focusing on Asia, Russia and the Middle East for future expansion. With 182 million euros revenue in 2018, Enoitalia is the fastest growing winery with + 76% growth over the last six years. For the past 30 years, we have had a clear objective: be ambassadors of Italian taste globally and we have been doing this valuing and promoting the uniqueness of each Italian varietal and its territory. Giorgio Pizzolo, President of Enoitalia. Our team of winemakers select the wines from the most valued wine areas in Italy, working continuously to deliver the uniqueness of these territories and of those men and women who are committed every day to the wellbeing of our land. Each one of our bottles delivers Italian style and taste to the rest of the world and each one of our wines is a true journey through the magnificent vineyards of our country. Our job is to meet the demands of our customers in a creative, reactive and flexible way and to follow universal values, such as the joy of living and the pleasure of conviviality, to embrace consumers desires. We at Enoitalia think that producing wine means to be true to specific values and offer quality products for both on and off trade. We do this, working with a wide range of wines and packaging solutions, providing efficient services and being flexible and innovative. We have recently invested in a second winery in Montebello (VI), in addition to our main production in Calmasino (VR); both are technological vinification, bottling and storage facilities. Our winemakers over see every single phase and select new varietals to offer to international wine consumers. We constantly invest in innovation to guarantee Italian style and taste for all of the markets where we operate proud to be distinctive with a focus on consumer trends. Quality is at the center of what we do. This is why we elevate quality standards in each department, optimizing every procedure, and reducing environmental impact and valuing our people, our true asset. Every single step of production is constantly monitored. Every single operation, procedure and product are traceable and subject to strict certification protocols. Our winemakers over see every single phase of production also thanks to an internal lab provided with highly technological equipment. We are committed to guarantee high quality standards through International certifications, which we have been subject to since inception, such as: UNI EN ISO 14001, OSHAS 18001, GSFI, IFS, BRC. Enoitalia is also members of SEDEX and VIVA, a project of the Italian Environment Ministry for viticulture sustainability. The BRC Global Standard for Food Safety is regarded as the benchmark for compliance to best practice in food industry standards. It provides a framework to manage product safety, integrity, legality and quality, and the operational controls for these criteria in the food and food ingredient manufacturing, processing and packing industry. Creata dall’Organizzazione internazionale per la normazione (ISO – International Organization for Standardization) questa certificazione definisce i requisiti per l’organizzazione di un sistema di gestione della qualità che ottimizzi efficacia ed efficienza nella creazione del prodotto. This standard maps out a framework that a company or organization can follow to set up an effective environmental management system. It can be used by any organization regardless of its activity or sector. OHSAS 1800:2007 Occupational Health and Safety Management Certification is an international standard, which provides a framework to identify, control and decrease the risks associated with health and safety within the workplace. We are members of SEDEX, which is one of the world’s largest organizations for helping companies manage responsible sourcing in their supply chain. We are part of VIVA, a project of the Italian Ministry for the Environment, Land and Sea. The purpose of the project is to improve the performance of sustainability in vineyards and wine production through the analysis of four indicators, namely Air, Water, Territory and Vineyard. The symbol is applied on our organic wines labels. It guarantees the conformity of organic production at all stages of the production chain. 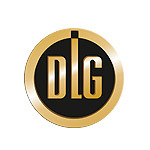 DLG Test Service GmbH is one of the leading service providers in the quality certification of processes and products in the food and beverages segment. We have decided to send our wines every year, as it is the only certification for a product-specific quality standard in wine, which considers the entire operation.